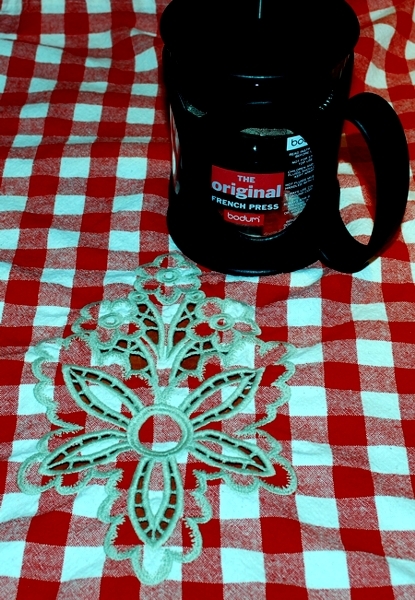 You can read about how to embroider this design on the page with instructions. This machine embroidery design is part of our Cutwork Lace Floral collection. 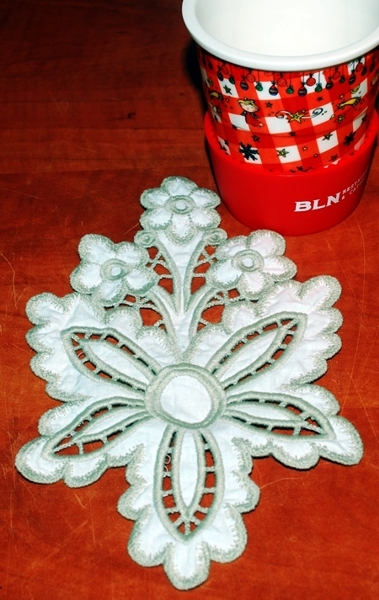 It uses the Applique and Cutwork Lace techniques. It is available for the Large hoop (5" x 7") and Mega hoop (6" x 10").